John (Jack) was born on September 21, 1951. John attended Livonia Bentley High School and graduated with honors in 1969. After high school he enrolled at Michigan State University and graduated from Michigan State University in 1973 with a Bachelor of Arts, with honors, (James Madison College). 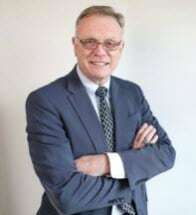 He began his law school career in 1975 at the Detroit College of Law (now referred to as Detroit College of Law at Michigan State University) in day classes. While in law school John worked at the 16th District Court in Livonia as a Court Officer/Law Clerk. While employed at the Court, he had the pleasure to work for the Honorable James R. McCann and the Honorable James E. Mies. John graduated from law school in February of 1978. He was admitted to practice in the State of Michigan in May of 1978 and the United States District Court for the Eastern District of Michigan in November of 1979. Mr. McLean's areas of practice include Family Law, Criminal Law, Probate and Estate Planning and general Civil Litigation. In 2014 John became certified in Domestic Relations Mediation and is available to mediate divorce or other family law issues. John has deep roots in Livonia. It has always been his home and it is the place he chose to raise his family. He has been married to Kathleen (Kitty) since 1978. They have three children, Kelley, Courtney and Kevin. John is very active in the Livonia Hockey Association. John is also an active member of his local parish, St. Edith's Catholic Church.